The CoffeeShop Blog: CoffeeShop "Facebook Cover #23"! We are back from a little tubing trip this weekend and I am tired but happy. :-) I have so many fun things coming out this week! Today I have a new Facebook cover to share with you that is a layered psd file so you can add your images using clipping masks (tutorial and free action). 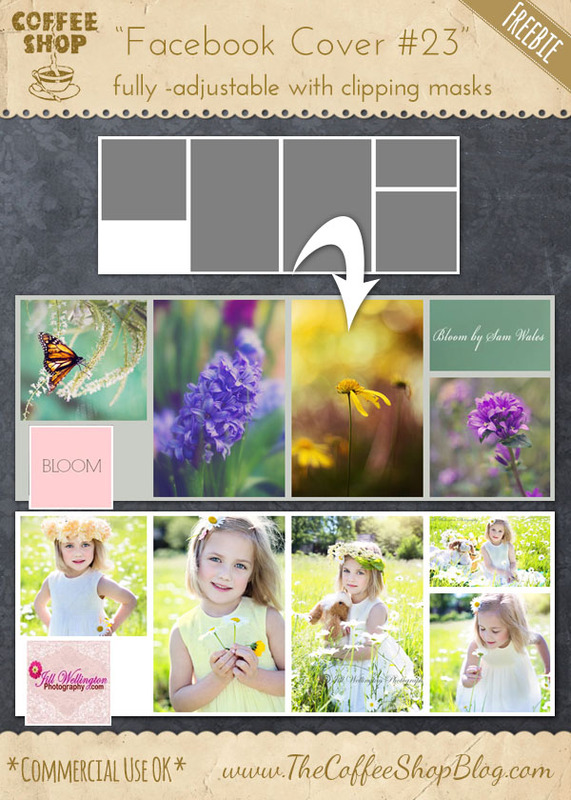 The top right cut-out can be a photo or a color box for your logo. I have an action coming out that automatically builds and loads this Facebook cover, so keep an eye out on my blog! I wanted to thank Bloom Photography and Jill Wellington (Etsy Shop, Facebook, Blog, YouTube Videos, Pixabay) for allowing me to use their gorgeous images in my example. I am also working on a new beach tutorial and action that allows you to add stunning color and contrast to your favorite beach portraits. 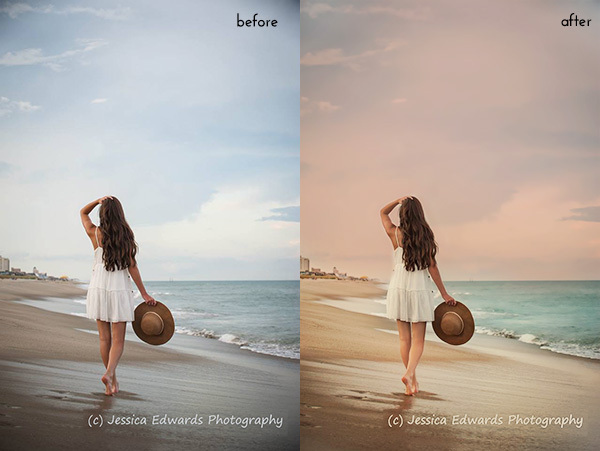 I used a gorgeous image from Jessica Edwards Photography in this example. I will walk you step-by-step on creating this edit and also include an action that will add all of the layers so you can fine-tune it for your own images. Download the CoffeeShop "Facebook Cover #23". You can also download it here.